I was at home the other night with my girlfriend. We were talking about music from the early 2000′s, specifically Ja Rule’s music. Before I knew it we were watching old videos on Youtube. Two hours later it was midnight and our time travel to our youth was complete. I know that’s pretty obvious but there’s a difference between knowing something and recognizing it. How many times during a boring night have you fell into the youtube hole? How much money have you saved by watching a Youtube video instead of taking what’s broken to a professional? Youtube has sewn itself into an integral part of our lives. And it’s only been around for 11 years. The concept of Youtube is so simple. Allow users to upload self-made videos to share with the web. Now Youtube has produced many stars and is one of the most important medium outlets in existence. 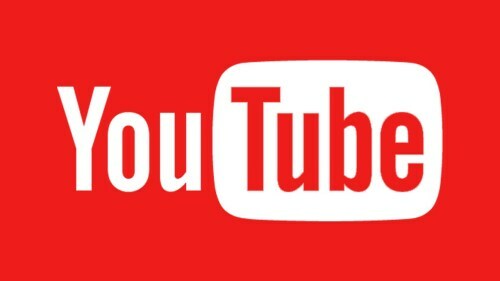 Youtube gives users an equal playing field when it comes to getting noticed. Everyone has an equal shot. The key is to make something people want to see, or didn’t know they wanted to see. I know, the ads are annoying but that’s just a testament to how popular Youtube is. I’ll stop taking up your time so you can shoot that video of your cat doing something so it can go viral. Posted in advertising, facebooke, fun, funny, marketing, media, Pinterest, snapchat, social, Social Media, twitter, viral, wednesday, YouTube. I enjoy social media just as much as the next guy. I love Twitter the most; the level of wit and genius people can squeeze into 140 characters never ceases to amaze me. It also allows me to connect with people that I would never meet. Another advantage is that it makes networking easier. You can get your message out to hundreds of people in seconds. It’s a wonderful, powerful tool. As good as social media is, there’s also a dark side. A place where trolls behind egg and dog avatars. A place where anything, and I mean anything can be said with little to no repercussion. Keyboard warriors spew hate at whoever crosses their path. Most people don’t have to deal with the legions of trolls that live in the underbelly of social media but for others that’s not the case. I’m sure you’ve heard by now that Ghostbusters was remade with an all female cast. There was a lot of usual uproar from misogynist screaming that it was an abomination and that killing dead ghost should be left to the men. The movie was released this weekend with moderate numbers. Leslie Jones, one of the main cast members, has faced a litany of abusive and racist tweets. You can catch up here. Long story short, the racist misogynist used every stereotype to depict the successful comedian. It’s quite disgusting the hate that she’s had to endure. I’ve heard many people over the years say that the internet is not a “safe space” and that celebrities just need to roll with the punches. They’re told to grow thicker skin or to be happy because they make a lot of money. Just to be clear, no one deserves to be insulted and/or belittled because of the health of their bank account. Take someone’s wealth away and you still have a person just like you and I.
I close with this, it’s okay to unplug from social media. Your mental health is a lot more important than whatever is being said on Twitter. Take care of yourself, no matter what. Posted in advertising, Facebook, ghosbusters, harrassment, instagram, leslie jones, marketing, media, movie, movies, Pinterest, snake, snakes, social, Social Media, twitter, unplug, wednesday. Twitter may have struck gold. If you haven’t heard, the social media site was chosen by the NFL to stream Thursday Night Football (TNF). Users will be able to stream games from Twitter’s platform. The icing on the cake is that you don’t have to own a Twitter handle to watch (but who doesn’t have one of those?) Only ten games will be available thought Twitter but it’s still a victory. 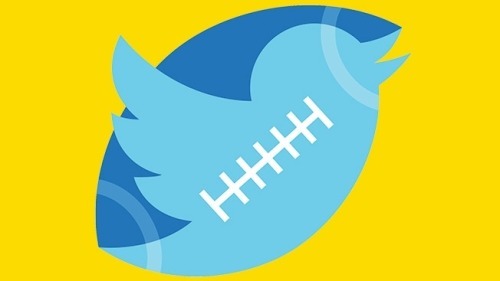 By having live games streamed Twitter has blazed a path to take social media to the next level. Twitter can now earn even more revenue and the NFL can get their product out to a vastly bigger crowd. If there’s one thing we know about the NFL it’s that they’re always looking to expand its audience. Twitter has been hot on Facebook’s heels throughout the years and this might be the final step into overtaking the social media crown. Social media sites now know they can expand their platform beyond their current audience. More people will tune in through Twitter than by watching it the old fashioned way. People will now have the option to watch the game from literally anywhere. The versatility alone makes this valuable. If they’re smart they’ll add extra features that would only be available for those who have handles. Twitter’s value will skyrocket and set the trend for other sites like Periscope. If this goes well we should seeing other sites line up to stream content from other leagues. People spend a lot of time on their phone, finding a way to reach them there is the right way to expand the social media experience. Posted in advertising, click, Clicks, crown, eagles, Facebook, football, gold, good, media, new path, NFL, Periscope, philadelphia, read, read me, reading, snapchat, social, Social Media, stream, streaming, twitter, value, win, winning. They don’t want you to read this. If you’re anything like me then once you see the word they you immediately start talking like DJ Khaled. All my snapchatters know what I’m talking about. DJ Khaled has taken social media, specifically snapchat, by storm. His keys to success and inspirational quotes have bombarded pop culture and he’s become a pitchman with unlimited range. He’s probably the only guy who can convince me to sign up for healthcare then celebrating by drinking vodka. This realm of success is new though. Sure, Khaled was well known throughout the hip hop community, but now he’s crossed over to the mainstream. His snapchat stories are memorable. From showing us what Chef D has for breakfast to every talk ranging from cloth and elliptical, Khaled’s life is one big motivational poster. I must admit, when I first started following him I thought his snaps were all jokes. I thought Khaled was being dramatic just for a few laughs. Now that I know he’s serious the snaps become a little more admirable. Khaled has found a way to make his, We The Best, brand better. He mastered one platform and launched himself to another level. Now it serves as a pathway to free advertising for him and his friends. He now uses Snapchat to make *mogul alerts* (announcements). The best part about this entire ordeal? It doesn’t cost Khaled a dime. In fact, Khaled is being paid to host different Snapchat channels. Taking something that’s free and turning it into profit. 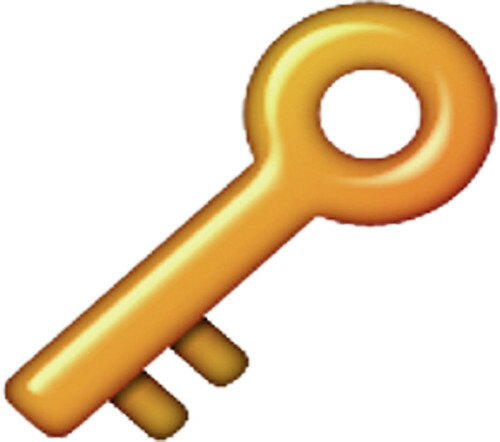 That’s the key to success. Posted in ad, ads, advertising, another one, apple, apple ciroc, boomin, celebrate succes right, ciroc, DJ, dj khaled, Facebook, funny, instagram, key, keys, keys to success, khaled, marketing, media, mogul, mogul alert, pathway to more success, slides, snapchat, social, Social Media, socialmedia, twitter, we the best. Every Wednesday at 2PM (EST) I’m at my computer anxiously waiting. The #AdWeekChat is about to begin. I usually cut my lunch a few minutes short in order to attend. It’s hard participating in a Twitter chat while at work but I’ve figured out ways to give the illusion that I’m doing something productive. The chats are always fun, even if I don’t have any input on the topic. It’s almost impossible not to learn something new every week. I’ve always believed that if you’re the smartest person in your twitterverse then you need to follow more people, and quickly. The key, especially for someone trying to get into the industry, is to learn as much as possible. 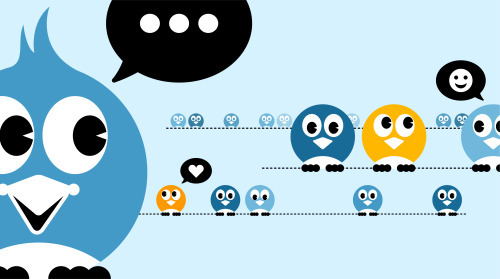 Chats have the advantage of taking swarms of information and placing them into 140 characters. It’s like the sparknotes version of the industry. Chats are a great way to engage your audience and see what’s on their mind. Social media gives the world one common forum to share ideas. It makes the world smaller, in a good way. There aren’t many mediums out there that let you talk to numerous people across the world instantly. Chats help moderate that power while also connecting people who didn’t know about the others existence. The greatest advantage of social media is its ability to start a conversation. The question is, are you listening? The #AdWeekChat isn’t the only good conversation going on in the Twitter world. Here are some of my favorites. I would list more but that would really give light to how unproductive I can be and I don’t want agencies to think I’m la..I gotta go, my boss is calling me. Posted in advertising, adweek, adweekchat, boogie, boogiesocial, classic, conversatoin, Facebook, instagram, marketing, media, pintrest, productive, productivity, snapchat, social, Social Media, socialmedia, splash media, splashchat, talk, talking, twitter, vine, wednesday, work.